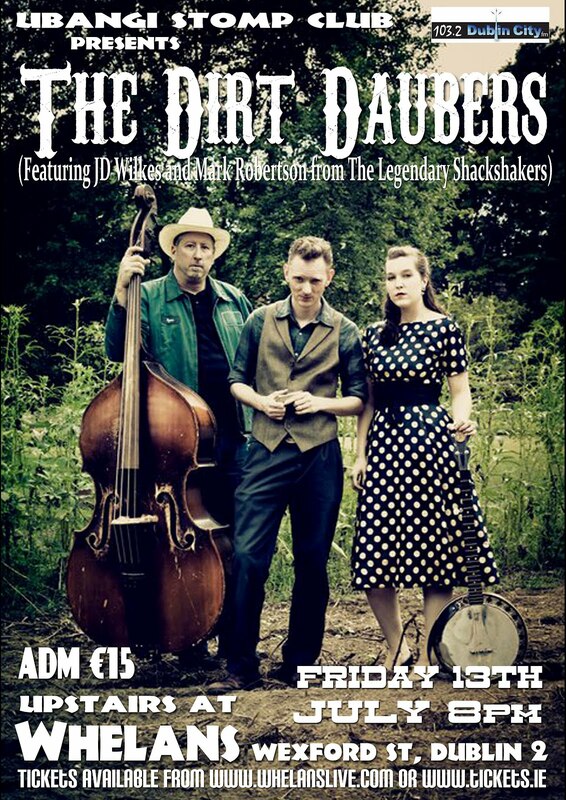 Old-time music band the Dirt Daubers, from Kentucky and Tennessee, are touring in Europe in the first three weeks of July, playing a total of sixteen dates which will take them through England, Germany, the Netherlands, Belgium, Ireland, and Norway, culminating at the Bukta Open Air Festival at Tromsø, Norway. 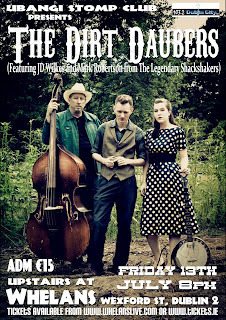 The poster (left) advertises one of three shows they will be playing in Ireland. The Dirt Daubers are composed of Colonel J.D. Wilkes (songwriter and front man for the Legendary Shack Shakers), his wife Jessica, and another Shack Shaker, Mark Robertson. J.D. is also the creator of a critically acclaimed southern-music documentary film, Seven signs, and the band have appeared in the USA on radio programmes as the Red Barn Radio Show, the Blue Plate Special, and Music City Roots on WSM-AM, 'The Air Castle of the South'. Full details of the tour, including online booking links, are on their tour schedule. You can also hear their music on their website, and watch them on YouTube.